Na foto podemos ver (a partir da esquerda), Fulvio Guarino e Francesco Socci (Donoratico), Stefano Bellotti (Recco), Nanni Puglisi e Paolo Bartoloni (Roma). Os cinco italianos andam pelas praias da Costa da Caparica (S.João) e ainda virão até Peniche ;) Stefano anda a treinar no waveski com que irá entrar no Mundial no Ocean Spirit deste ano. Em breve, mais fotos! We can see in the picture (from the left) Fulvio Guarino and Francesco Socci (Donoratico), Stefano Bellotti (Recco), Nanni Puglisi and Paolo Bartoloni (Roma). 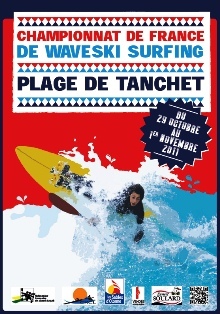 The italian team is at this moment in Portugal surfing in Costa da Caparica beaches (near by Lisbon). 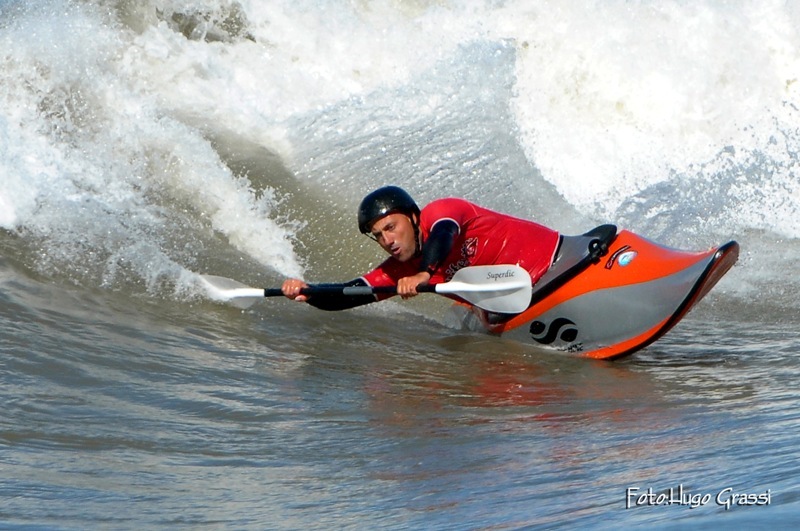 Stefano is training with his waveski for the Worlds (next August in Ocean Spirit Festival, Portugal). 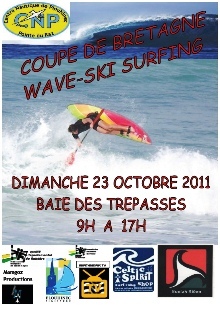 During the next few days, they will go till Peniche ;) Soon, more photos!! Decorreu de 22 a 24 de Abril na Praia da Constituição, Mar de Plata, Argentina, mais uma edição do "Santas Olas". O Festival deste ano foi fantástico em imagens e aqui fica a selecção enviada por Hugo Grassi (best off) e o vídeo oficial. 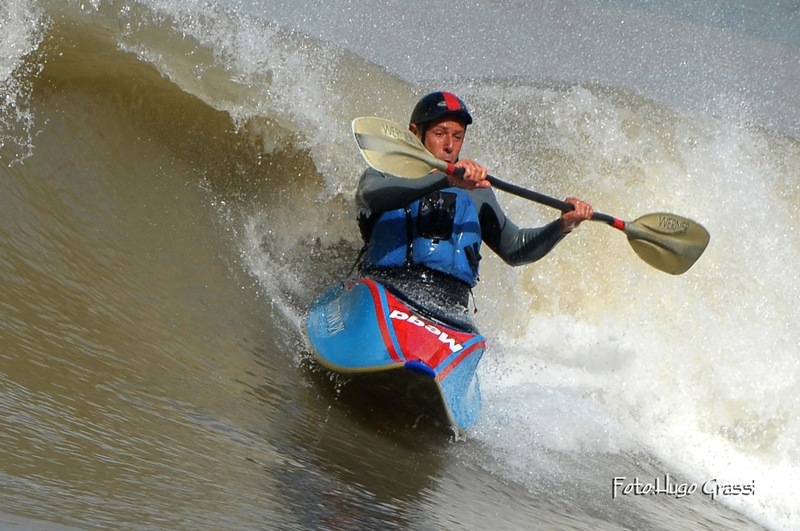 É notória a evolução do kayaksurf na Argentina e o nível dos atletas comprova bem este aumento de performance. Muito bom! 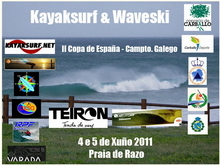 José Piñeiro, NEWS TEAM kayaksurf.net e Club Kayaksurf Galiza (CKSG), envia-nos o cartaz, programa e respectivo convite para a prova de 4 e 5 de Junho em Razo. É um evento OPEN sendo que a única exigência, é ser atleta federado no respectivo país. Fica o convite!! 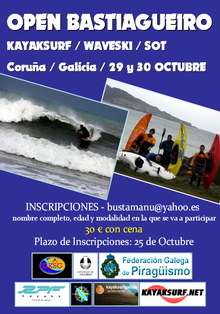 De novo o Club Kayaksurf Galicia organiza a II Copa de España e Campionato Galego de Kayaksurf e Waveski. Será os próximos 4 e 5 de Xuño na Praia de Razo, Carballo. A proba conta co apoio das Federacións Española e Galega de Piragüismo e o Concello de Carballo. Como o ano pasado esperamos a presencia dun numeroso grupo de surfistas. A competición é Open, polo que está aberta a participación a deportistas non nacionais, sendo o único requisito estar en posesión da licencia federativa. O prazo de inscripcións estará aberto hasta o 31 de Maio. São mais de 100 fotos kayaksurf.net que retratam o grande fim de semana que passámos na prova inaugural do Circuito Nacional de Kayaksurf e Waveski. 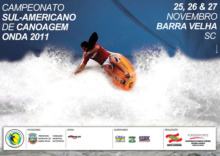 Aproveitamos para dar os parabéns a Bruno Melo, vencedor do Troféu Best Wave instituído pelo kayaksurf.net. 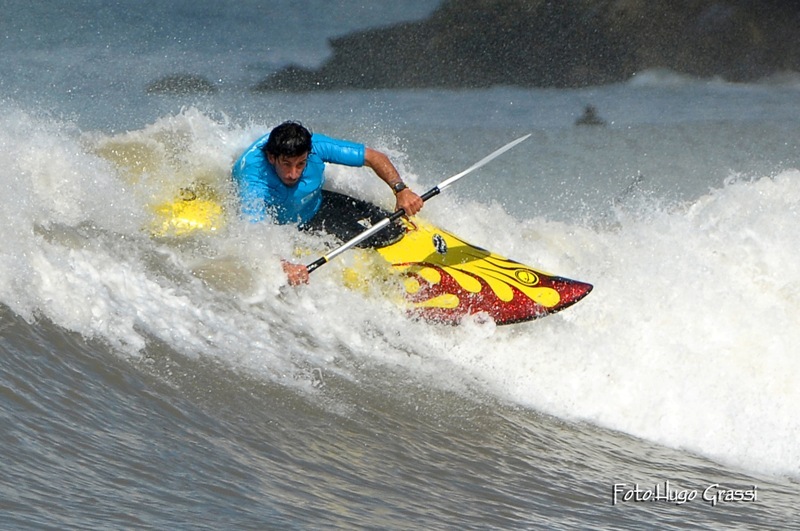 O Bruno, vencedor do circuito 2010 em waveski e vencedor da prova da Foz do Arelho na mesma categoria, sacou uma onda de... nove ponto. Parabéns e vejam as fotos. Vale a pena ;) Em breve, mais algumas com os craques na água. 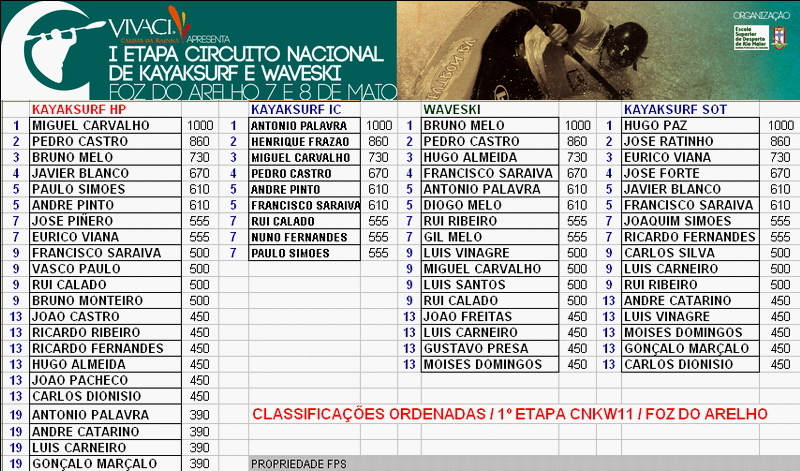 Com sete presenças no pódio, a Watertech domina na 1ª Etapa do Circuito Nacional de Kayaksurf e Waveski. Ficam os nomes, as máquinas que usaram e respectiva classificação. 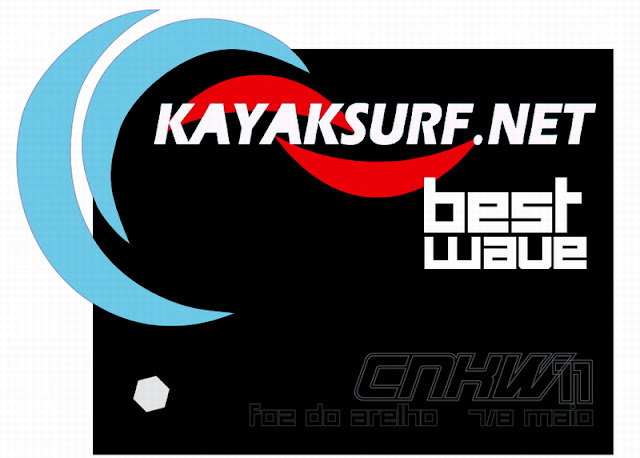 Duas notas a assinalar: o novo surfkayak da W (protótipo) dá deu cartas e o troféu Best Wave kayaksurf.net também foi ganho pela Watertech Team (Bruno Melo). Parabéns! 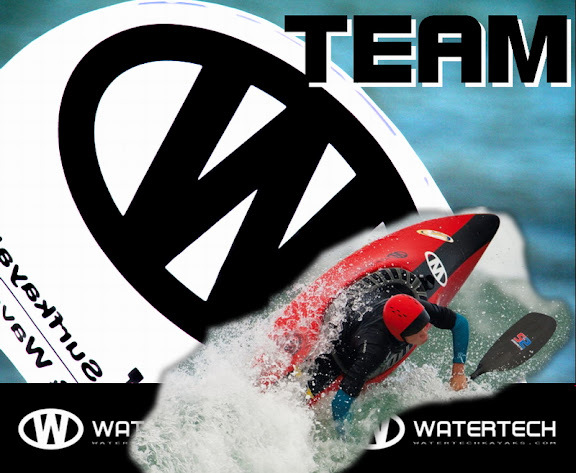 With seven presences in the podium, Watertech Team dominated this first contest of the portuguese circuit. 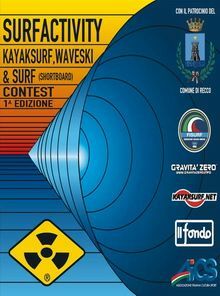 Two notes to add: the premiere of the new Watertech surfkayak (prototype) and the conquest of the Best Wave Trophy kayaksurf.net by Bruno Melo, W-Team. Congratulations! É mais um a adicionar à nossa NEWS TEAM que já reúne 49 elementos (!!) oriundos de inúmeros países. Reports, fotos, curiosidades, eventos... tudo devidamente autorizado. É uma das secções de maior sucesso no kayaksurf.net. Por agora, vamos conhecer Matt Speke da Escócia. Top! It's one more element to add to our awesome NEWS TEAM. We are already 49 elements (!!) from all over the world. They sent us reports, photos, curiosities, events. Many thanks to all of them and now, let's meet Matt Speke from Scotland! Favourite surf spots: Thurso pipe and Strathy Bay. North Scotland. 1st Long Boat, 2nd Short Boat - Scottish Champs 2010. Joint 17th Long Boat, 31st Short Boat at 2009 Worlds. 2nd Short Boat, 3rd Long Boat 2011 Scottish Champs. 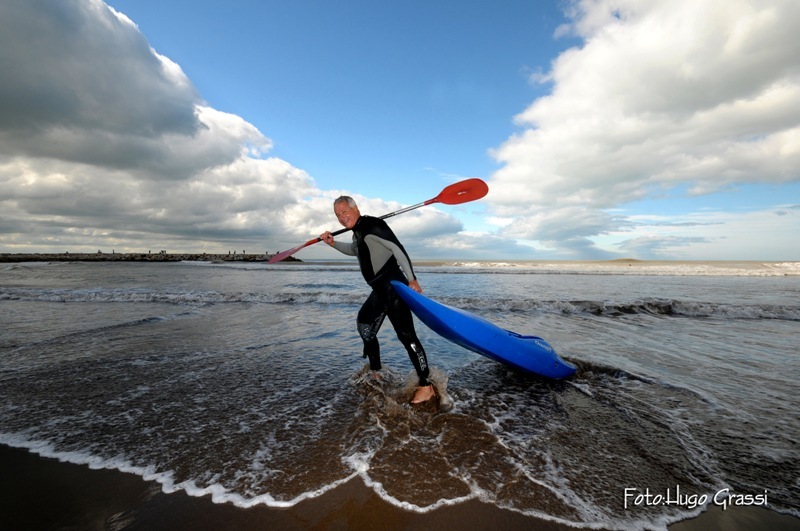 Just taken over as Chairman of Surf Kayak Committee for the Scottish Canoe Association. Decorreu no passado dia 30 de Abril em Nahoon Reef e Gareth Evans, NEWS TEAM kayaksurf.net, envia-nos o full.report com fotos fantásticas. Muitos deles estarão entre nós para o Mundial de Waveski no Ocean Spirit. Top! 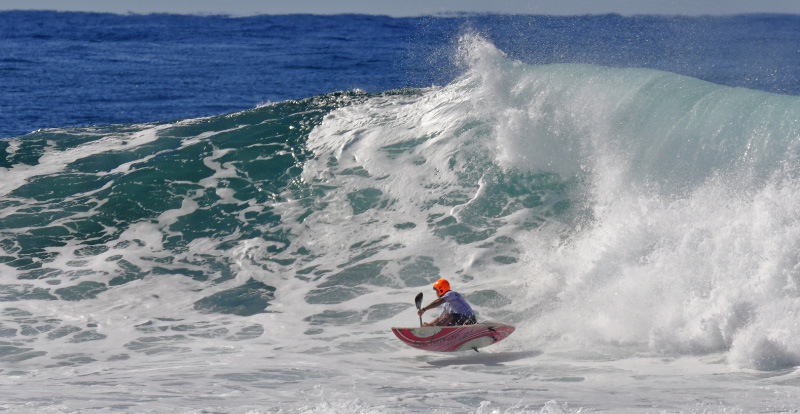 The SA Waveski Closed Championships finished on the 30th of April at Nahoon Reef, East London. 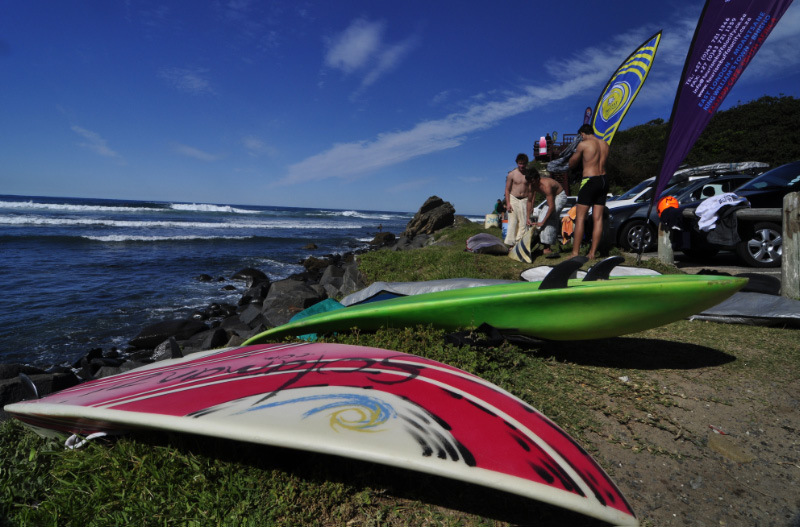 The 2011 Glacéau Vitamin Water SA Closed Waveski Champs finished on Saturday the 30th of April with the prizegiving and a last chance for the competitors from all along the coast of South Africa to have a drink and a chat together. The competition began with the event briefing, AGM and social get together on Wednesday night. With a huge swell and a howling gale, there was a muted feel and talk of postponing the start until Friday. Thursday dawned and the rising sun lit big barrels whipped into perfection by the wind as it raced in from the South West and tore the tops from the waves. 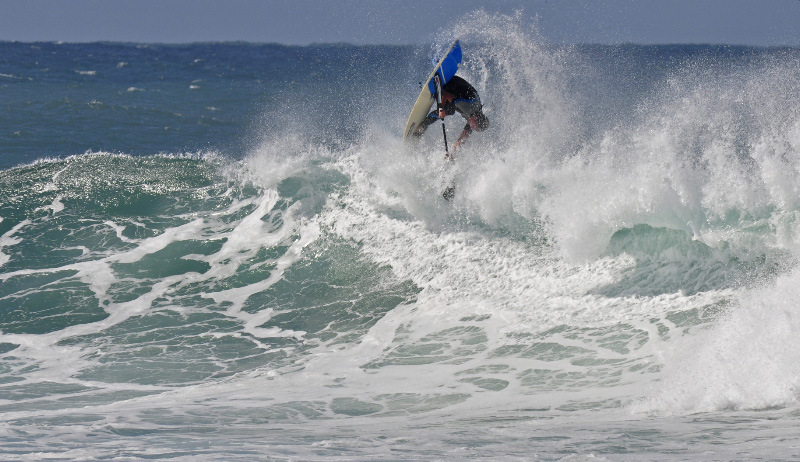 A few hardy souls paddled out to sample the pounding surf, and the decision was made to start the event with the more experienced riders. 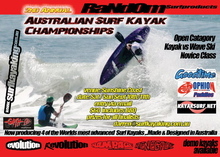 Initial heats were run in the morning and then it was decided to postpone until the wind dropped the next day. On Friday morning the wind had died to a light breeze and the waves were wrapping round the rocks and peeling down the reef with the sets pulsing from medium to large. Risk/reward was the judging criteria and some of the waveski surfers were taking it to heart with deep drops into big bowling waves providing some breath-taking rides and also some bone-shaking mishaps. As the competition progressed and the ranks of competitors thinned, the heats got more furious and the moves bigger and more critical. 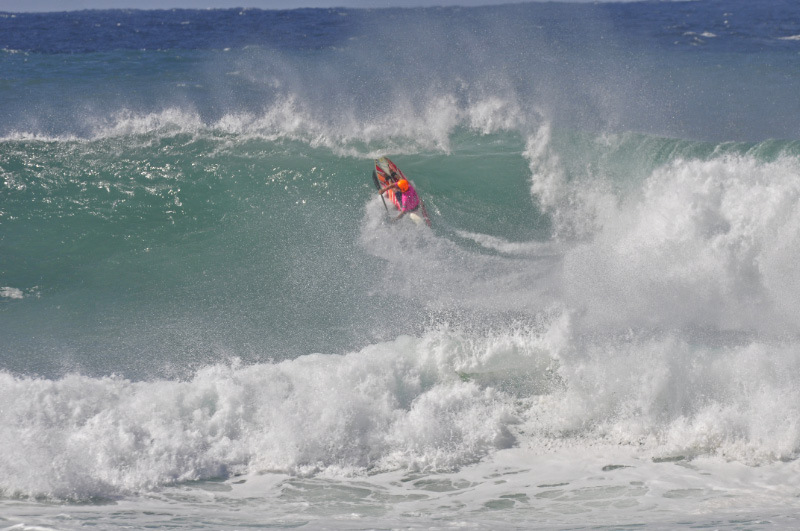 Daniel Nel and Willie Graser, both from Western Province worked hard to hold the Border waveski surfers at bay, winning the Grand Masters and the Veterans respectively, while in the Ladies division Mary-Ann MacSherry from Border was surfing out of her skin to seriously worry the eventual winner, Sandra Pienaar of Eastern Province. The Border Juniors were out in force with Tian Podges of Border the eventual winner. 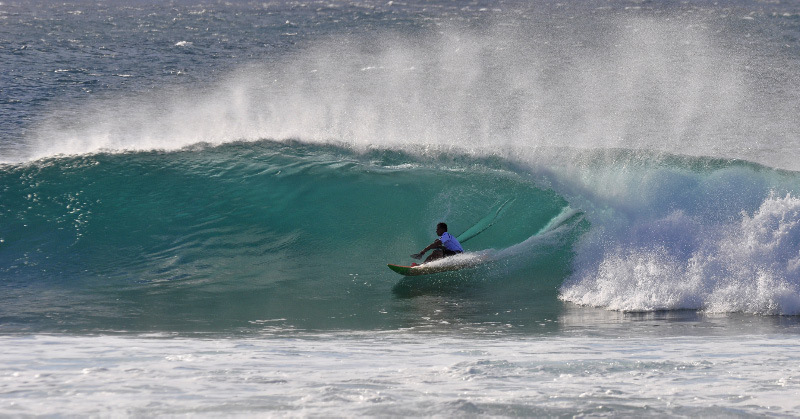 In the end there was no stopping Mike Cowan at his home break as he took the Senior final, while Doug Copeland never hesitated whatever the surf threw his way, fully deserving his win of the Masters division. In the New Age division Max Eckhoff took the win. Nahoon Reef is the Border backyard and it was a great relief to the Border Team when the final points count showed a clear Border win. Western Province was a major threat coming in a close second. The highlight of the Prizegiving was the announcement of the SA Waveski Team to compete against the rest of the World at the 2011 World Waveski Championships in Portugal. The SA Team will be: Ruan Brand (Border Junior), Andre Burger (Border New Age), Mike Cowan (Border Senior), Ian MacLeod (Eastern Province Senior), Doug Copeland (Border Master and Team Captain), Percy Louw (Western Province Master), Gerard Wilke (Western Province Grand Master), Charl du Plessis (Western Province Grand Master), Willy Graser (Western Province Veteran) and Sandra Pienaar (Eastern Province Ladies). Jan Brand (Border) will be Team Coach and Tubby Wills (EP) will be Team Manager. 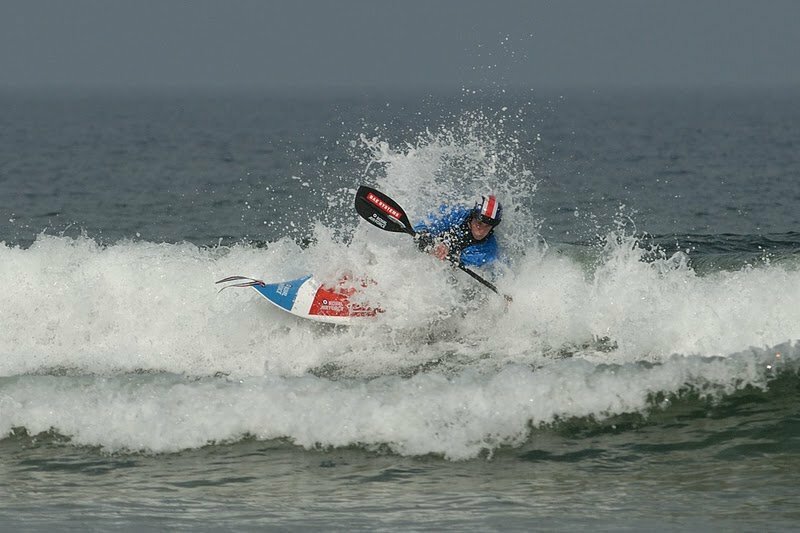 It was a well run, excellent event for all of the waveskiers from Kwa-Zulu Natal, Eastern Province, Western Province and Border and thanks must go to all of the sponsors and the organising committee for ensuring that the event was memorable and fun. Decorreu este fim de semana na Foz do Arelho a 1ª prova do CNKW 2011. Com uma organização inexcedível, o evento abriu com chave de ouro o circuito deste ano. No primeiro dia, a praia da Foz do Arelho serviu de palco mas, devido às condições do mar, o segundo dia de prova decorreu em Peniche (spot Bocaxica). Como devem calcular, há centenas de fotos para publicar e mais reports sobre o evento mas, já para abrir, ficam os resultados finais. Durante a semana, mais NEWS acerca do evento. Parabéns à Escola Superior de Desporto de Rio Maior (organização) e à Federação Portuguesa de Canoagem que se fez representar na entrega de prémios por Vitor Félix. 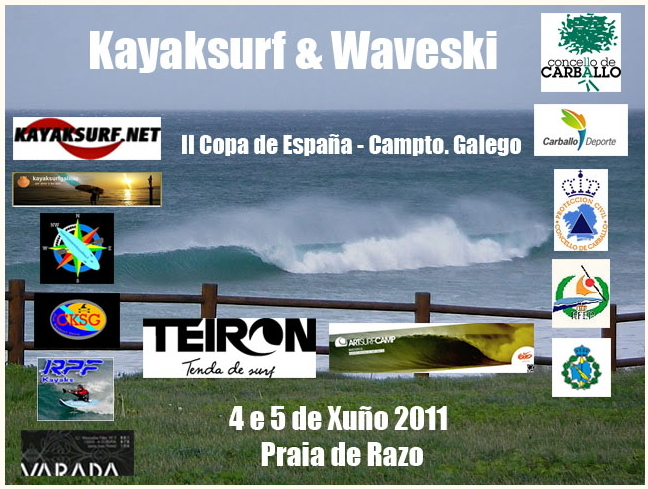 Took place this weekend the first competition of the portuguese kayaksurf & waveski circuit. 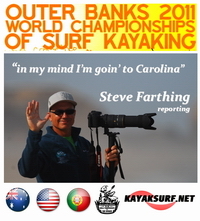 The event was held in Foz do Arelho and kayaksurf.net reported from there all the results and other information. Now, the final results of this weekend. 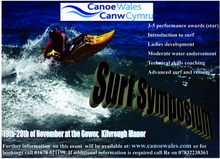 Great event with 39 entries reparted by kayaksurf HP, IC, SOT and waveski. During this week, wait for more photos! !